Drive motors of 3M series are designed for drives of small road and railway vehicles, fork lift and platform trucks and further for auxiliary drives of servomechanisms, hydro mechanisms, fans, air compressors, etc. The frame consists of a steel tube providing sufficient mechanical rigidity with welded feet. In the case of bigger and highly loaded machines the flange or even commutator shield are made of refined cast iron, in other cases from cast iron. Motor machine design allows to supply traffic of the motors with different nominal speed preserving chosen driving voltage. Motors can be powered from converters, connected to accumulator batteries or to direct-current mains at voltage from 12 to 120 V, according to size of the motor. Rotors are dynamically balanced with half-key. Free shaft end is cylindrical with key, on demand it can also be smooth tapered, with screw, differently shaped, optionally even with gear or with serration. The second shaft end is also possible. Ball bearings are with permanent fat filling, on demand the bearings can be also with an increased radial clearance C3 or with lubrication with a higher temperature resistance (for operating temperature of the bearings 80°C and higher). For reversation of rotation speed each motor has to be equipped with two separate terminals for armature (rotor) and two to four for excitation (stator). Common working environment, ambient temperature from -20 to +40 °C. On demand it is possible to provide increased resistance against humidity, corroding process, dust, better surface painting. Insulating materials are in the class of thermal resistance F, conductors and slot insulations in the higher class F/H or H. At the extremely loaded machines there are used conductors with double insulation layer (overcoat). Feet shape IM 2… is being used at the biggest machines of size H132 and H160. Attachment of the motor on feet or flanges, in case of attachment both on feet and flanges both mounting areas have to be perpendicular to each other. Direction of rotation is always to the right (clockwise) assuming the view on the free shaft end, while (+) polarity of the source is to be connected to all terminals with index 1 (beginning). Time of motor operation of 3M series is very various, nominal values are evaluated for load of 60 minutes (short-term operation S2 – 60 min). At interrupted load S3 there is usually given acceptable duty factor (time of operation at full load is related to the cycle time, most often T = 10 minutes). 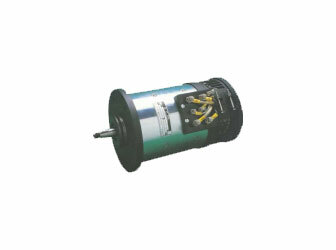 For drives of hydraulic pumps for example. S3 – 15% (1,5 minute motor operation, 8,5 minute standstill).